Empirical earthquake scaling relations play a central role in fundamental studies of earthquake physics and in current practice of earthquake hazard assessment, and are being refined by advances in earthquake source analysis. 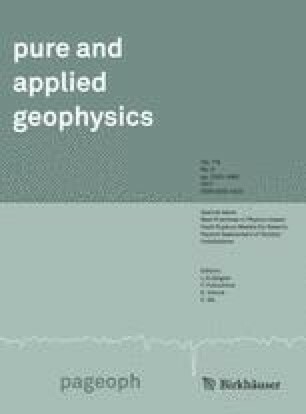 A scaling relation between seismic moment (M 0) and rupture area (A) currently in use for ground motion prediction in Japan features a transition regime of the form M 0–A 2, between the well-recognized small (self-similar) and very large (W-model) earthquake regimes, which has counter-intuitive attributes and uncertain theoretical underpinnings. Here, we investigate the mechanical origin of this transition regime via earthquake cycle simulations, analytical dislocation models and numerical crack models on strike-slip faults. We find that, even if stress drop is assumed constant, the properties of the transition regime are controlled by surface rupture effects, comprising an effective rupture elongation along-dip due to a mirror effect and systematic changes of the shape factor relating slip to stress drop. Based on this physical insight, we propose a simplified formula to account for these effects in M 0–A scaling relations for strike-slip earthquakes. A correction to this article is available online at https://doi.org/10.1007/s00024-017-1725-5. This study was based on the 2015 research project ‘Improvement for uncertainty of strong ground motion prediction’ by the Nuclear Regulation Authority (NRA), Japan.